If you’re like most Age Group athletes, one of the most challenging (and frustrating) aspects of your training is how to improve your swim time. For many athletes the question that arises once they’ve acquired basic swim skills is: Why am I not getting any faster in my races? To answer this question we have to step back a little and understand that the requirements of pool swimming and open water triathlon swimming are very different. First let’s start by understanding that “open water swimming” is not about extending the lane in your pool into an empty, 1500-meter long, flat water course with a lane rope on each side (as some swim instructors have recently suggested). 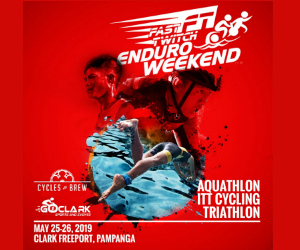 Instead, open water swimming as experienced by the vast majority of Age Group swimmers is a churning, rough-and-tumble experience in which all the rules of pool swimming are broken! How long have you been able to hold a delicate, careful, well thought out stroke in a race? That’s right – about 10 seconds! With every stroke there seems to be something to impede your progress and stall you in the water: Chop from the wind, other swimmers’ elbows, someone pulling on you or swimming overtop of you, ocean swell, murky water, air bubble froth, feet impeding your ability to catch water, and so on. It’s like swimming in a washing machine and needing to re-accelerate with every stroke! Because of this constant interference and challenge at every stroke, the truth about triathlon swimming is that to improve your abilities in the open water you need to do almost the opposite of what you did to develop swim technique in the pool! In traditional swim training you are encouraged to emulate the top swimmers in the sport, who after a lifetime of swimming twice a day are able to “swim like a dolphin”, able to recruit a large proportion of muscle mass to slip effortlessly through the water lap after lap at top speed, high intensity and with beautiful form. The truth is that these swimmers have literally worked that lifetime to develop an extreme level of aerobic fitness and swim-specific strength and muscle recruitment that has no bearing on triathlon swimming for most triathletes – including the very best of our pro’s! Asking you to learn to swim the same way with limited time, a lifetime of not swimming, modest aerobic development and low swim-specific strength is like asking a dolphin to type like a human! 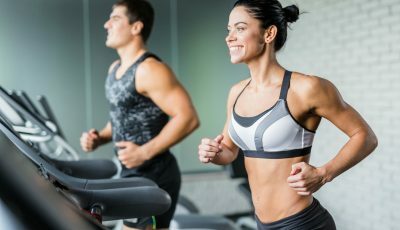 A typical Age Group triathlete has trained their aerobic fitness to handle “getting through” the distance required by their race. If you’re not coming from a swim background and have a history of limited swim training, or you have learned to swim using a focus on drills and pool technique, you’ve probably learned to conserve your energies using a very careful, deliberate “thought-out” swim stroke. Your stroke appears reasonably proficient, with high elbows, a long glide and a streamlined body, but you lack the strength to power through the difficulties faced in the open water. As a result you are constantly coming to a near stop and need to re-accelerate at every stroke, which is a very energy-consuming process. In the pool the typical “maximum glide per stroke” approach most of us have been taught (usually by pool swimmers!) works great at first. With a massive acceleration off the wall every 25 to 50m, and with nothing to interfere with our focus and concentration as we carefully apply each stroke in un-crowded conditions, we can end up making reasonable progress as long as nothing interferes. But apply this approach to the open water and we end up leaving ourselves wide open to the decelerating forces all around us. Without the strength to power through each wave, bit of current, grabbed ankle, chop, or interfering elbow we end up at a near standstill with each stroke! Our long stroke in fact becomes a hindrance –the longer and more “glide-oriented” your stroke is, the longer you leave yourself open to obstruction in the water! Each millisecond is one more opportunity to stall! And without the aerobic engine to support constant re-accelerations we quickly tire and settle into “survival” mode. How do we overcome this without substantially increasing our swim mileage? The answer: Learn an open water stroke! Without a doubt the top swimmers in the world have beautiful technique, with long, smooth, powerful strokes swum with little apparent effort. 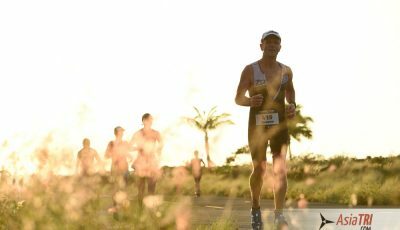 As triathletes we can learn a lot that can be used for our own performance, such as developing relaxation when we swim, correct pulling technique and arm recovery. But beyond that we are best to leave some characteristics of this stroke to the swimmers – their technique is specific to racing in pools, one person to a lane and to get them only to the end of their swim, usually far shorter than most triathlon swims. For triathlon swimming we need a technique that is both fast and efficient and also allows us to navigate the chaotic conditions of open water. We need a stroke that is not easily disrupted by other swimmers but that also enables us to conserve energy for the bike and run to follow. The long, smooth powerful strokes used by top swimmers relies on high power output to carry the glide through disruptions, which only depletes our limited energy stores early in the race. Even with the ability to generate this power, a long-smooth-stroke technique leaves us more vulnerable to disruption from waves, moving water and other swimmers. In open water the stroke needs to be faster, shorter and continuous to minimize the disruption of our forward progress – the opposite of long, distance-per-stroke swimming. By changing the focus of our swim training we can improve our performance while also reducing energy expenditure, which leads not only to improved swim performance but also better bike and run performances. We carry less fatigue out of the water, and we have increased energy levels later in the race. How do we develop this new technique? To implement a new technique takes time because our brain controls how our muscles work to move us through the water. Based on our lifetime of swim experience (or lack of it! ), we have set into our brains a motor pattern for swimming that we now need to change from a pool-efficient motor pattern to an open water-efficient motor pattern. To change our motor patterns from old to new is very hard, especially in older swimmers who have a lifetime of set patterns to overcome (swimming or not swimming!). For this reason it is very important that when we train to change our stroke we ensure that the body is not too tired – for this reason, aim to swim in the morning, or if this is not possible then make the swim session the first training session of the day. We do this because if the body is tired the brain will easily fall back into known and automatic motor patterns, which only reinforces the old technique rather than developing your new, open water technique. Because fatigue is an important factor in your swim stroke training, your sessions should also be short and broken up into small and manageable chunks. This allows you to focus on your new technique with high concentration for short periods of time, with plenty of recovery between efforts to ensure that every effort you swim is developing good solid technique! The total length of the session is also very important as there is only so much the brain can take at any time, so swimming 1000m (total) with good technique is better in the beginning than trying to fit in your normal 3000m set – the 3000m of effort will most likely have you swimming good technique only for the first 1000m of intervals, while in the last 2000m as you tire your technique will deteriorate and you are revert to reinforcing bad technique! One last thing we need to consider is the frequency of your swim sessions. By getting in the pool as often as possible during this period of adjusting to your new stroke, even just for short sessions you will accelerate the learning process. Try to ensure that you are not out of the water for more than two consecutive days during the week. No swim instruction is complete without a few technical pointers to illustrate what you are aiming for! However, because new swim skills are difficult to master and you can’t focus on more than one new movement at a time, it’s important that you incorporate these tips into your new stroke one by one. Get familiar with one aspect, learn it well, then incorporate the next into your training. Remember that old trick about patting your head and rubbing your tummy at the same time? Learning a new stroke is no different! With each stroke, enter the water fingertips first and “send” your fingers on a continuous downward trajectory towards the bottom of the pool. By getting the fingers in first and driving them down instead of forward you set yourself up to immediately start the pull phase. There is no glide phase! If you’re a “careful placer” of your hand into the water from too much technique swimming then you are not developing energy-saving momentum in your stroke. Break yourself of this habit by forcefully PLUNGING your hand into the water with a powerful thrust! It’s important not to “slap” the water surface – think of the rest of your arm tucking in behind your hand and slipstreaming into the water behind it. You want to put a lot of force into this component of your stroke because this sets you up for a quick, strong catch. Remember – no glide! Once your hand is in the water, imagine coins sitting on your fingertips. You must keep constant water pressure on the coins to prevent them falling off your fingertips. Use this imagery to eliminate any remaining dead glide in your stroke and ensure that you develop a continuous, constant rhythm in your stroke. Your arm is always moving into the water and immediately catching the water! A nice byproduct of this approach is that the timing of each stroke improves as your hand is immediately in position to pull. There is no glide! With no glide component your whole stroke speeds up and you remove your own worst enemy – the thinking process – and the resulting robotic, “careful-placement” swim stroke learned by the majority of swimmers who follow classic swim drill training (especially those trying to swim like dolphins!). More momentum in your stroke sets you up for a more powerful pull, and ensures that the force you apply then goes towards maintaining speed and not re-accelerating in the water. Now that you have your hand entry sorted you need to develop what happens next. After you have started “catching” the water with coins on your fingertips, pull back straight and powerful – picture your arm wrapped around a barrel as you initiate this. You can train yourself to apply plenty of power in this aspect of your stroke by incorporating plenty of “water polo” freestyle into your swimming. At ironguides, we also incorporate plenty of lengths using small paddles so that you are consistently training swim strength instead of spending your time doing drills that don’t teach you the power or rhythm needed for open water. By focusing on a powerful pull you ensure that your stroke is continuous and not disrupted by currents, waves, or other competitors – or thinking! To propel yourself forward you need to establish a strong body position in the water. In open water we use our hand as an “anchor” to pull our body through the water. The best way to do this is to keep your hand relaxed and to slightly open up the fingers – no water will pas through your fingers when they are slightly spread, and this will greatly increase your hand’s surface area in the water. When your hand enters the water at the front of the stroke aim to enter slightly wide of center and just in front of your head – this stabilizes your body and limits snaking of your body through the water. As well, in conjunction with the use of paddles, especially if you are a less-skilled swimmer, make sure that you incorporate plenty of pull buoy work into your swimming. The bigger the pull buoy, the better! The pull buoy helps your body achieve a more optimal (higher, horizontal!) position in the water – again, without you having to think about it! In swimming especially “thought” is the enemy! When you swim with a pull buoy you reduce your focus on maintaining body position, freeing yourself to focus on other aspects of your stroke, and reducing struggle and aerobic work trying to kick frantically in order to hold your body position. And, without needing to think about it, the pull buoy helps you train core stabilizers that work to hold proper body position when you swim in your wetsuit, and helps you apply other aspects of your stroke from a more optimal position. End result – you develop better technique without having to think, and without spending your limited time on low-intensity, drill work. 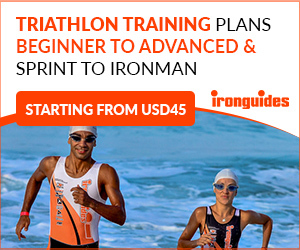 For effective triathlon swimming you need to develop technique that is appropriate to our sport. Triathletes do not have the strength or conditioning and in most cases the physical stature to use the technique used by swimming legends such as Ian Thorpe or Michael Phelps, or indeed ven national class swimmers. 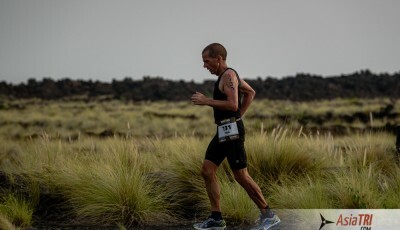 Using a technique that is momentum-driven, avoids gliding to a stall, and applied in more frequent, shorter strokes is more efficient and faster in open water, and also spares your energy stores for later in the race.